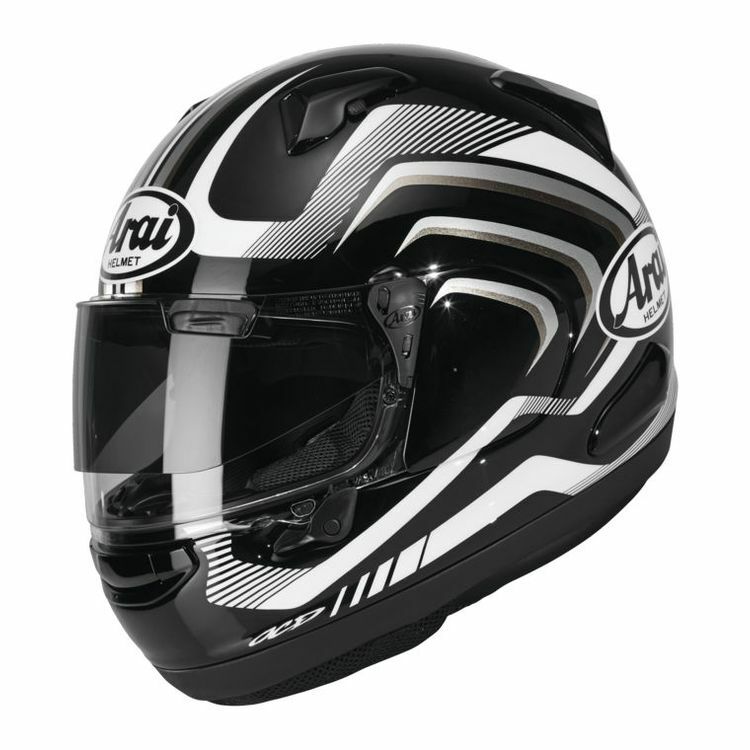 Step into the future with the Arai Signet-X Helmet. 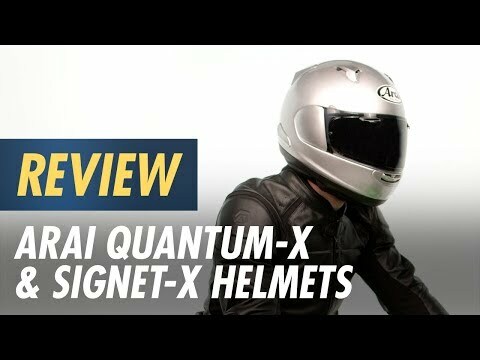 Arai took its famous long-oval head shape helmet, the Signet-Q and redesigned it for the next generation of riders. Built into the Signet-X are a multitude of comfort features, including a VAS MAX Vision face shield, anti-microbial liner, over-sized chin curtain and speaker pockets just to name a few. The emergency cheek pad tabs, which before were only featured on the Corsair series are now designed into the Arai Signet-X Helmet. In keeping with the "improve on what works" mentality of Arai, the QVF & QVR upper ventilation ducts look familiar but offer more adjustment and better flow. The Super Complex Laminate shell design combines multiple materials and techniques created internally by Arai that delivers both performance and safety. Note: Helmet ships with clear VAS shield. Pro Shade system (pictured) is sold separately.